YOU NEED TO METER THE FINAL OUTPUT OF YOUR SONG SO YOU CAN SEE HOW LOUD IT IS. A MASTER FADER WILL HELP YOU DO THIS. Now that you've got some nice healthy audio signals recorded, you need to mix them into a form that people can access, usually a stereo mix. You need to be as careful with your song's overall level as with the input levels. First, make sure you have some way of seeing the level of the lump sum of all of your mixed audio. The best way is to use a master buss that everything goes through before you send it to the interface. Many DAWs automatically have a master buss, but I use Digital Performer, and I know that I need to add a "Master Fader" if I want a master volume knob. If you're using a master fader, leave it at 0db and adjust the individual tracks so that you have a healthy signal but the master buss doesn't go into the red. DON'T JUST TURN DOWN THE MASTER KNOB IF EVERYTHING IS TOO LOUD - THE INPUT TO THE MASTER BUSS (AND ANY PLUG-IN INSERTED IN THE MASTER BUSS) WILL STILL BE OVERLOADED. All you've done is turn down the overloaded signal. 1) Some people say that inserting a master buss into the digital signal somehow degrades the signal. I haven't noticed such a degradation, and the danger of distortion from not monitoring the signal far outweighs whatever degradation they are perceiving, in my opinion. 2) If your mix is at too low a level and you normalize it after the fact ("normalize" is a command that raise the volume of the file so that the highest peak equals 0 db), you're throwing away resolution - again, like blowing up a tiny picture into a big one that looks crappy. 3) Your mixdown, even when recorded at a healthy level, is not going to sound as loud as commercial releases (unless you've used a limiter on your master buss, which we'll talk about later). That's where mastering comes in, which we'll talk about later. Suffice to say, a properly recorded mixdown is a lot easier to master than one that's too quiet or distorts. 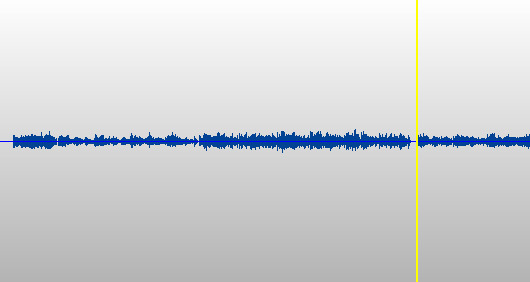 THE TAKEAWAY: YOU NEED TO METER THE FINAL OUTPUT OF YOUR SONG SO YOU CAN SEE HOW LOUD IT IS. A MASTER FADER WILL HELP YOU DO THIS.